In a house with two girls, there are never enough hair accessories! 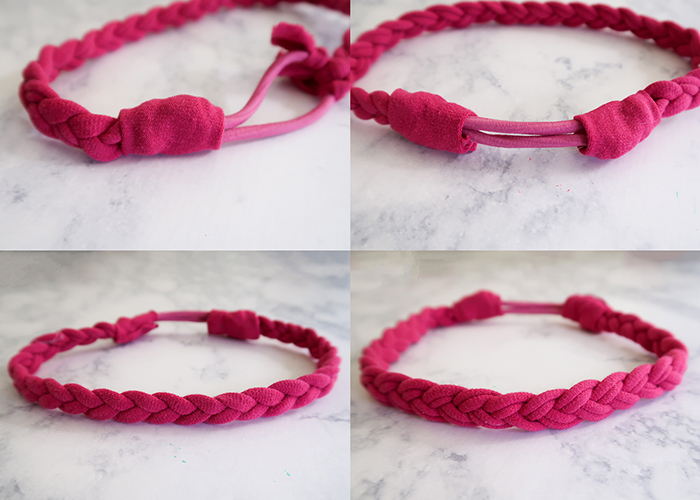 Today I’m sharing this super easy no-sew Braided T-Shirt Headband Tutorial that can be made with outgrown t-shirts, leggings, or any thin knit fabric. 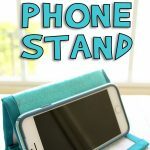 My kids often stain shirts or get holes in leggings that are still perfectly good otherwise, so while these aren’t suitable to keep wearing or donate, so much of the fabric can be saved for small diy projects like this one. Let’s get started! 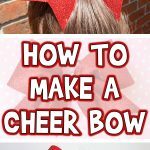 Check out my How to Make a Cheer Bow Tutorial, too! Thin knit fabric. This can be an old t-shirt, leggings, knit dress, or even new fabric. 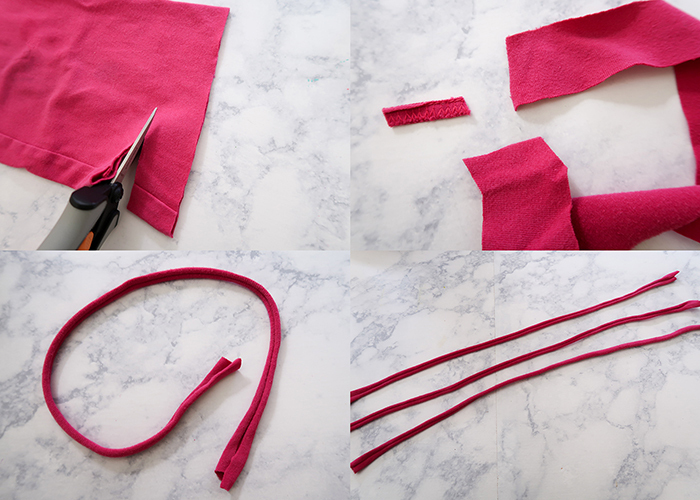 Start by cutting 1 inch wide strips off of your fabric. 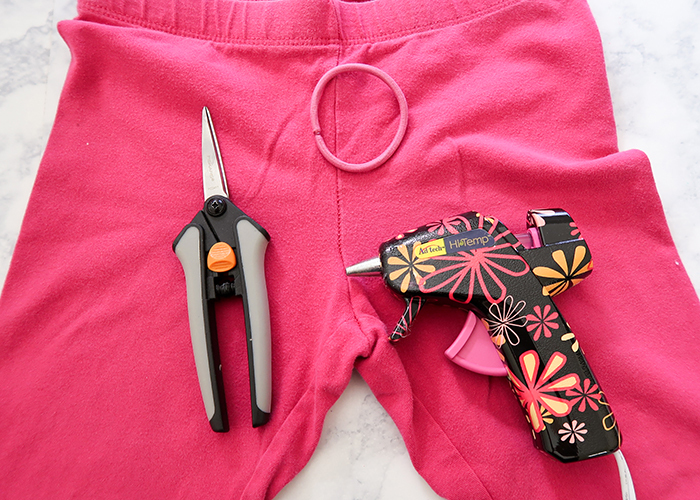 Remove any stitched seams, and stretch the piece of fabric. It will curl onto itself and get really long. 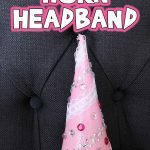 Check the piece and make sure it wraps around the head comfortably with a little extra. Cut two more strips the same length and stretch those out as well. 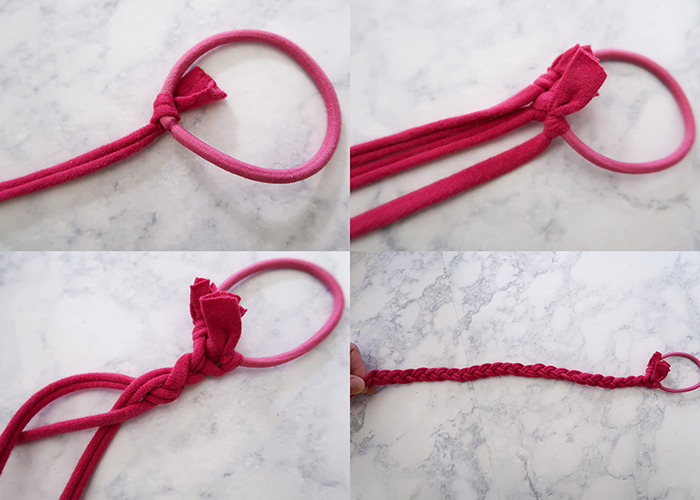 Tie the three ends onto your hair tie, and then start braiding them. When you get to the ends, wrap it around the head again. 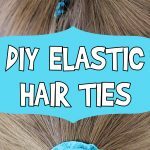 It should fit just right, but you can always trim the braid if it’s too long. Now just tie the three free ends onto the other side of the hair tie. Cut two rectangles of fabric, and gently pull on the to curl the edges under. Now wrap this rectangle around the knots, and hot glue it in place. 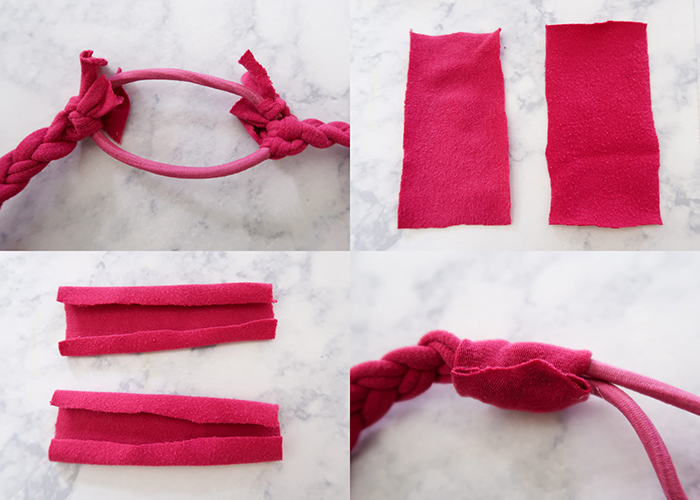 Trim off any excess, and do the same for the other set of knots. You’re all done! 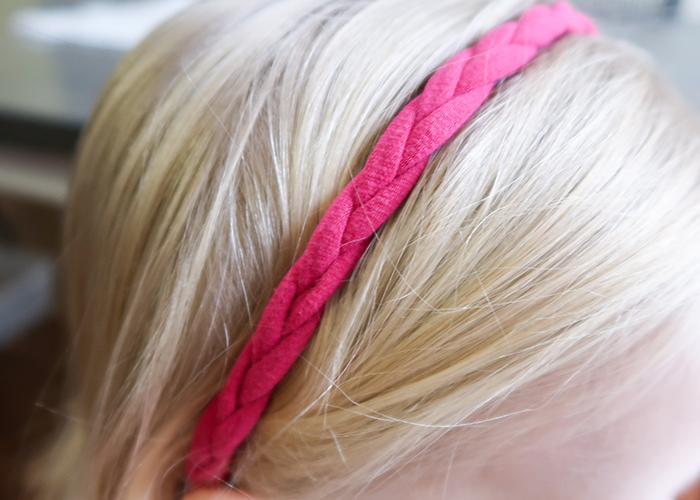 You can wear the headband either with the “right” side of the braid up, or flip it so you can see the curled edges so it looks like a double strand braid. It’s up to you! 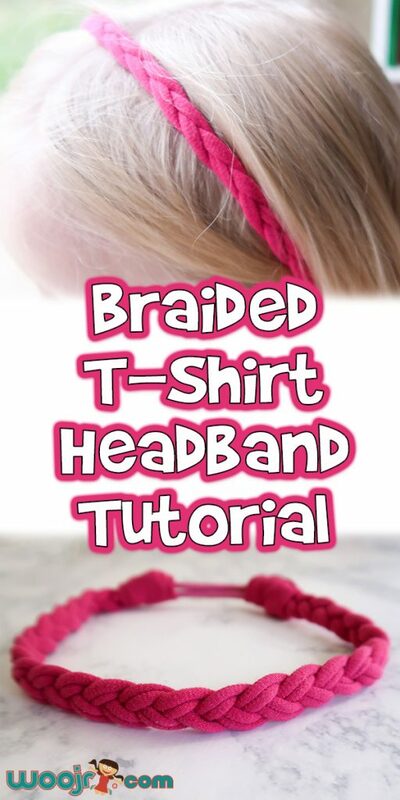 I hope you find this Braided T-Shirt Headband Tutorial helpful in using up those bits of scrap fabric! 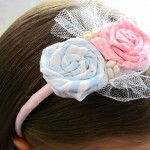 You can also easily clip on a bow or a flower to customize it even more! 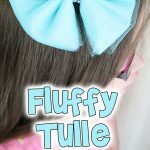 Ages 3-5, Ages 6-8, Ages 9-12, Find by Age, For Teens, Wearable Crafts	Joanna Brooks	braided, diy, fabric scraps, hair accessories, headband, knit fabric, t-shirt crafts, wearable crafts.